CITY GUIDE | HOW I SPENT 3 DAYS IN BERLIN, GERMANY. 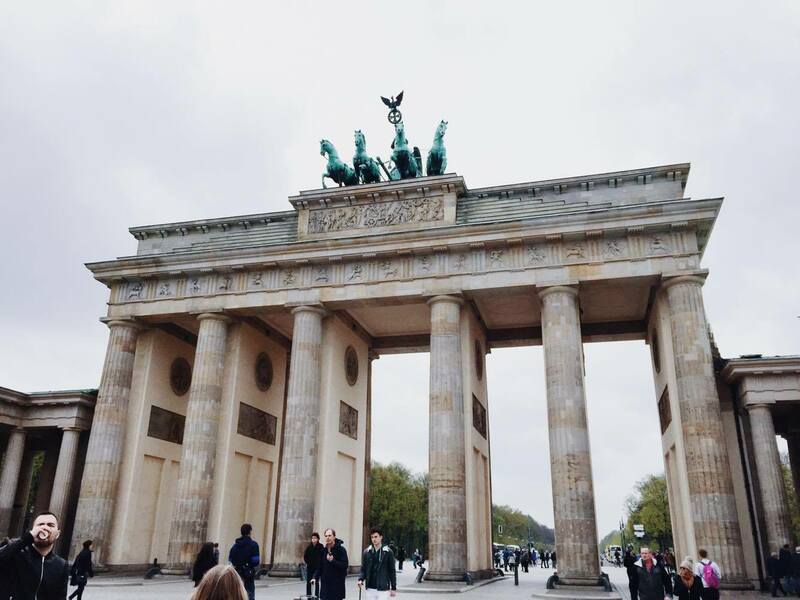 It's been two weeks now since I was in the historical capital of Germany, Berlin. 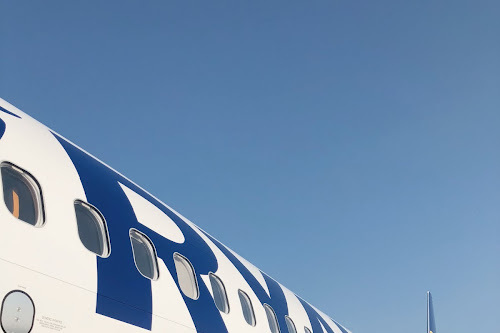 After spending 3 days in Amsterdam we made our way to Berlin with Easyjet, the flight was just over an hour and was very smooth and quick and I legit shut my eyes for 10 seconds and we were there. I always use Skyscanner for my flights because it shows you the cheapest and most convenient flights. We flew into Schönefeld airport and then got a quick half hour train into Alexanderplatz, which was right in the centre of Berlin. 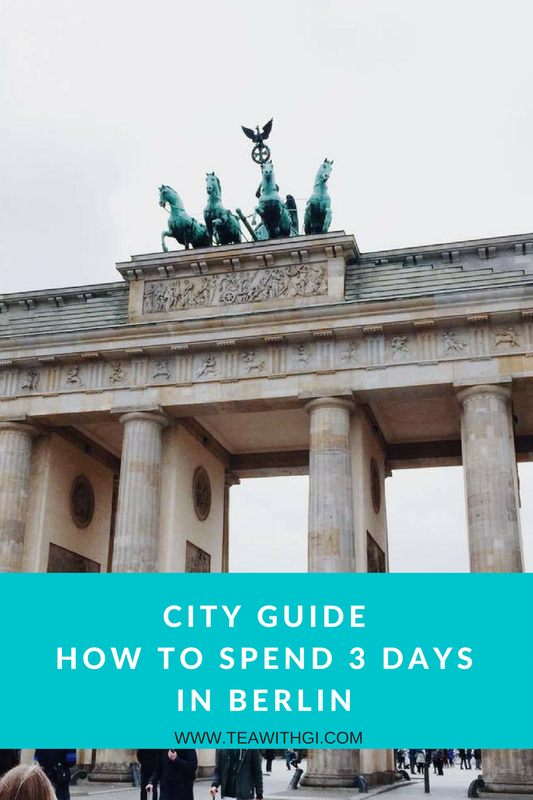 If you're planning a visit to Berlin and looking for some tips on what to do, where to stay and eat, then keep reading. Continuing with hostel life, we stayed at the CityStay Hostel Berlin Mitte which was right between Alexanderplatz and Hackescher Markt area. So right in the heart of Berlin and a minute away from McDonalds to help with those hangovers after a night out in one of the underground clubs. This hostel was very affordable and comes with free Wi-Fi throughout and has a bar downstairs where you can BYOB and socialise with other travellers. Alexanderplatz is full of shops and Hackerscher Markt has a variety of (expensive-ish) restaurants and bars - both around 10 minutes away from each other. We were trying to budget around 10 euros per meal in Berlin, which was quite difficult to do in Hackescher Market - although if you're a fan of Goulash soup (I was obsessed when I went on my trip to Budapest) a big bowl of it with some very nice bread will set you back 8 euros at Escados Stakehouse. 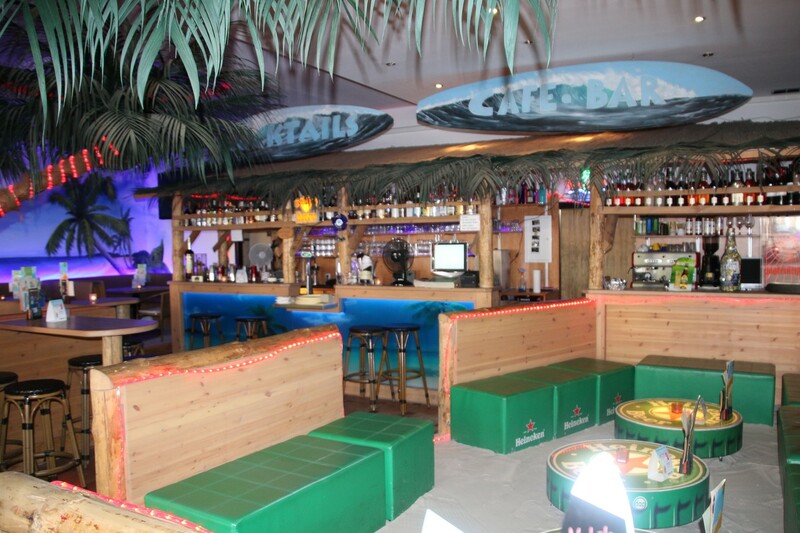 If you're looking for tropical vibes with a great cocktail selection then I definitely recommend Palm Beach in Alexanderplatz - we actually ate their twice because their food was great and the prices were decent (I recommend the nachos and burgers). 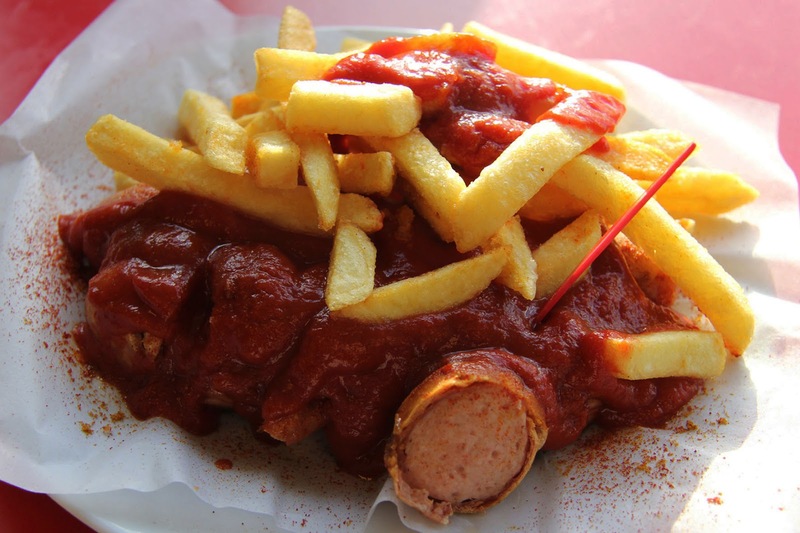 Of course you can't pay a visit to Germany without eating a sausage or two, I always help myself to a bratwurst at the Christmas markets in England but every few metres in Berlin we came accross a curry wurst snack stall. I waited until the last day to try this and found a portion at Mall of Berlin for 3 euros - as opposed to other restaurants that were selling for 9 euros for a bloody sausage. If you're looking for cheap eats and a bit of everything, then I definitely recommend the food court in the mall as it's not out of the way so you can stop by when you're doing your site seeing, and there's something for everyone. We started our trip by taking a free walking tour with Sandman's which takes place every day from Brandenburg Gate, next to the Starbucks. Although these tours are free they work on a tipping basis so I'd recommend giving your tour guide 5-15 euros at the end of it, or whatever you deem it's worth. 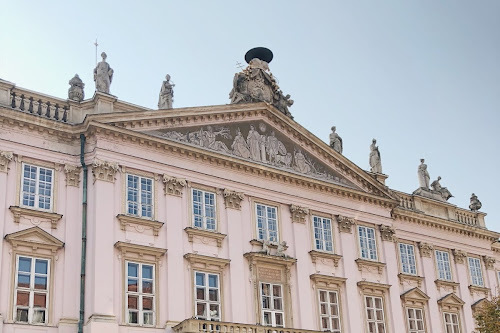 The tour lasts around 2 hours and I find they're always great for getting your bearings in a new city and knowing the history behind tourist spots (and regular ones). Heck I didn't even know we were stood above Hitler's bunker until our tour guide mentioned so! He also pointed out that the Hotel Adlon is also where Michael Jackson dangled his baby out the window. 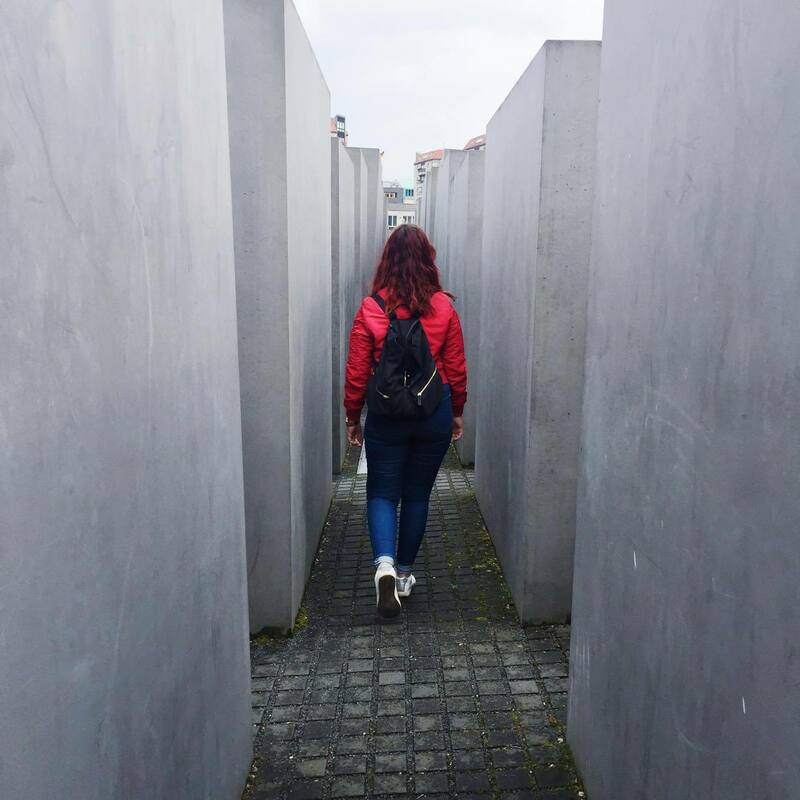 Berlin has a number of free museums throughout the city - including the Topography of Terror and the Holocaust Memorial Museum. These are both great museums and one of the rooms in the memorial museum is especially touching as it contains letters from jewish people who were murdered in the holocaust. You can find it just under the Memorial to the Murdered Jews of Europe - just spot the queue! 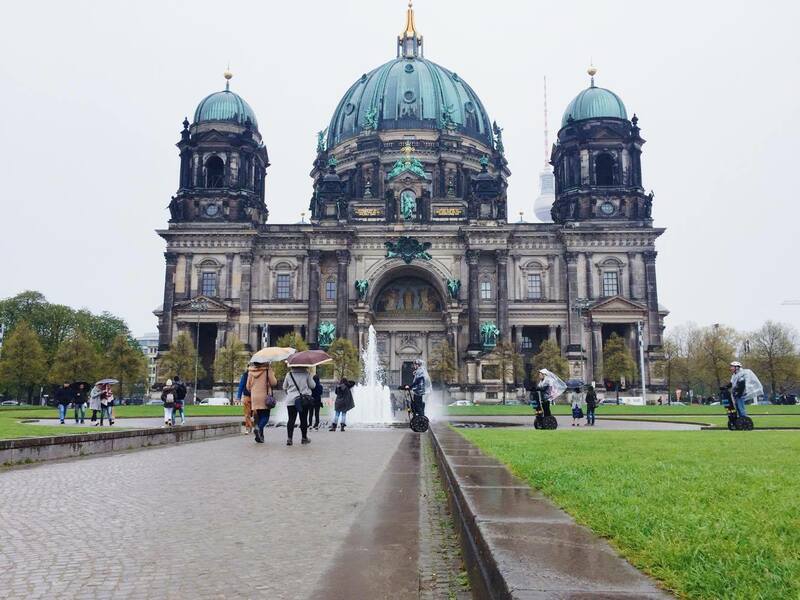 Museum Island also has a whole lot of artsy museums and is also very close to Alexanderplatz and the Berlin Cathedral. Browse through the graffiti and art work at East Side Gallery on the Berlin Wall. If you're staying in the centre you might need to use public transport to get here, unless you fancy a 50 minute walk. It was painted by 118 artists from over 21 different countries so it's definitely a sight to see. 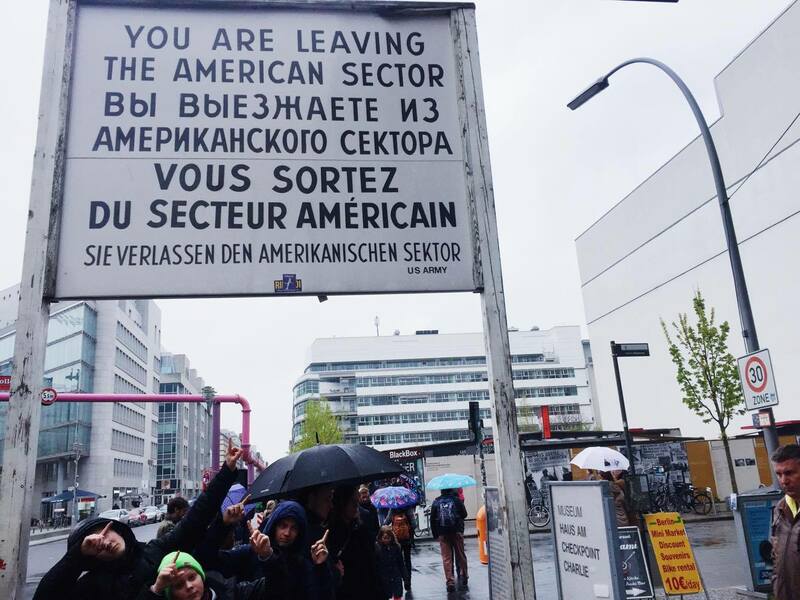 Have a walk through Checkpoint Charlie where the original crossing point between East Berlin and West Berlin was. Speaking of the Berlin Wall, we heard a couple of interesting stories about how people attempted to cross over the wall - including a woman who sowed herself into her car seat and got her driver to sit on top and cross over, and a family who created a zip line with the help of a family member on the other side of the wall. If you're a fan of scary stuff there's always the Berlin Dungeons, we never got round to doing it because we were short on time, but I'm sure there's some interesting stories in there too. If you're wanting to explore Berlin's nightlife, then a pub crawl is always a great idea. This pub crawl took us through 4 bars and then got us into club Matrix which had about 5 different dance floors. One of the bars was very intimate and kind of felt like we were in some abandoned house party with techno music blasting, so pretty cool if that's your scene. A local advised me that when it came to Berlin nightclubs, if you're foreign it's best to keep your mouth shut in the queue because well they're 'not a big fan of foreigners'. So maybe brush up on a german word or two. The best way to travel around Berlin is by foot or train and the system is pretty easy to use. There are regular services from the airport to the city centre and costs you around 4 euros and takes half an hour. Pick pocketing is common, so be aware for fake 'charity collectors' who will distract you whilst another one has a go and taking your stuff. Avoid tourist spots if you're looking for cheap food, try the markets or mall food court for some cheap eats. Don't forget your euros and adapters! Have you been to Berlin recently? 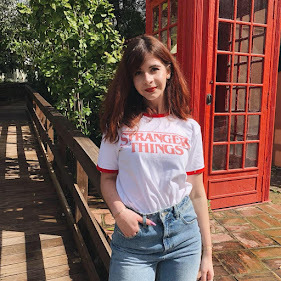 What were your favourite spots and things to do? I'm always looking for new ideas for future trips! for more ideas on what to do in Berlin head to my Germany Pinterest board. 😍😍😍 definitely adding this to my ever expanding list of places to visit!! I love Berlin, I have lived there for a bit for my studies and it's awesome. Again your photography is absolutely amazing! Thank you I really appreciate it! 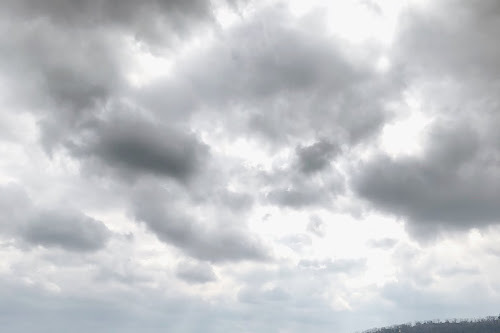 I wish I could have spent more time there and the weather would have been a bit nicer, but was still great. I've never been to Berlin but your gorgeous photos are definitely making me want to go! 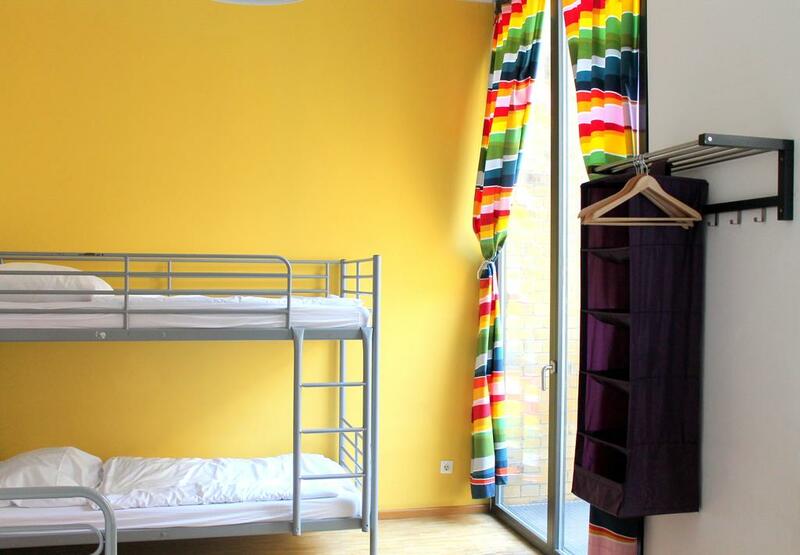 Your hostel sounds fab and looks like a very nice place to stay! Free museums are always a highlight for me as well! Thanks for the safety advice about pick-pocketing at the end too, that's useful stuff! you're welcome! Same I love strolling through museums but when they're 20 euros each it makes it an expensive trip! I've never really considered Berlin as a holiday destination but you've certainly shown lots of lovely things you can do there. Although I'm pretty sure I'm getting a bit old of the informality of hostels. Ahhhh I love Berlin, it's one of my favourite cities! 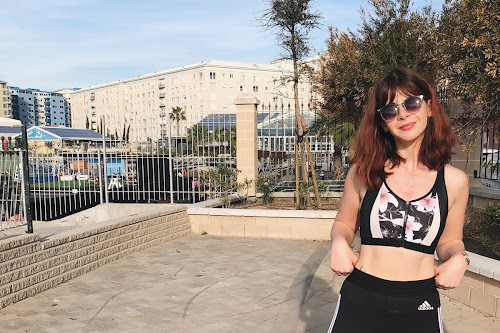 I got to go for the first time this year and it was amazing 😍 We planned to go to the jewish memorial park but ended up not having time which was annoying, but is an excuse to go again soon! exactly! Not seeing everything means you just need to go again! Such lovely pictures, glad you had a great trip. I definitely want to visit Berlin and I'm so desperate to travel! My friend lives in Berlin, so I would love to visit soon. It looks amazing!